Potter Lawson designed a tranformative space for Nordic Consulting that gives them three times the space of their previous office. 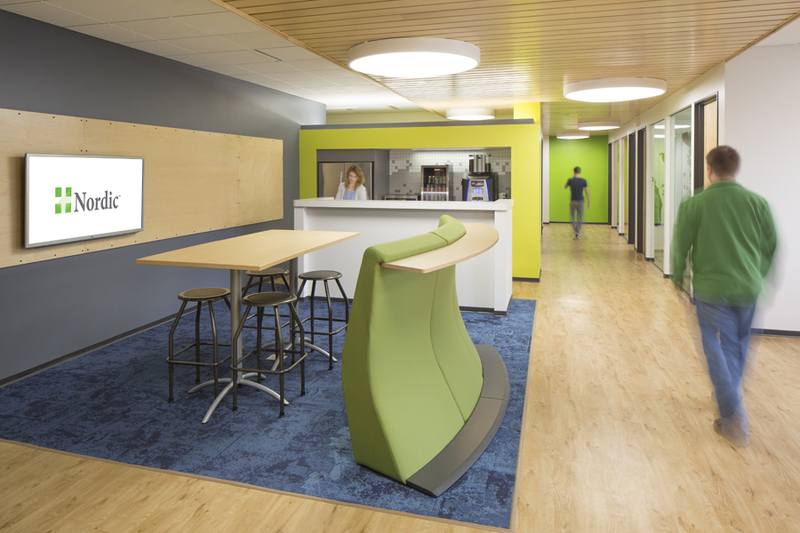 The fun and energetic design of this interior renovation is home to this fast growing and forward thinking company that works with Epic client users. 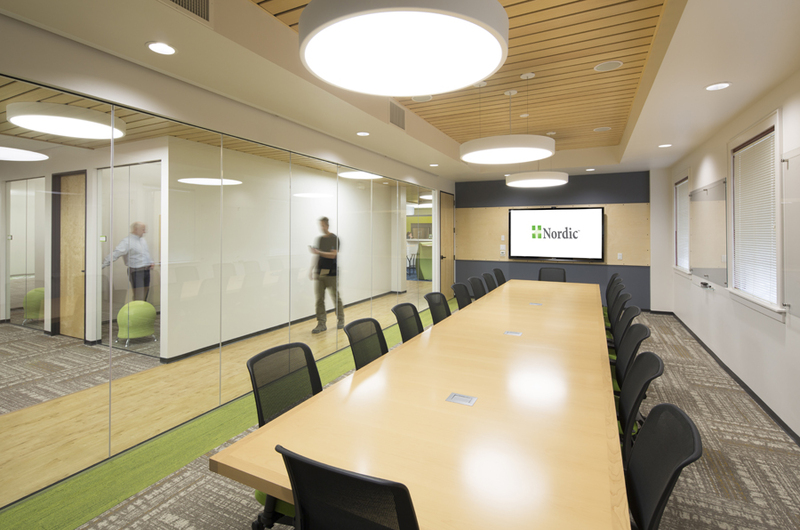 The headquarters is home to 65 support and management staff, and includes room for what Nordic calls its remote solutions center which enables their staff to do exactly what they do on-site with clients. 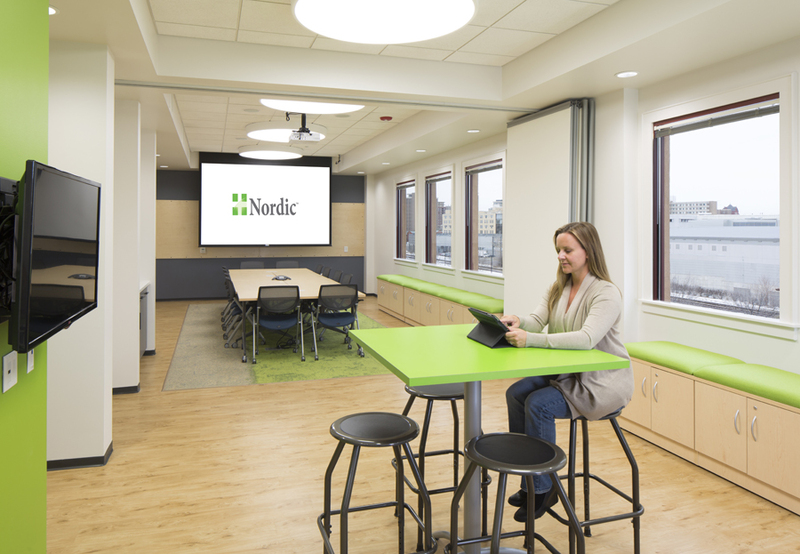 With a mix of private and open offices, Nordic’s new office space focuses on staff with multiple break and collaboration areas as well as flexible and technology clad conference rooms. 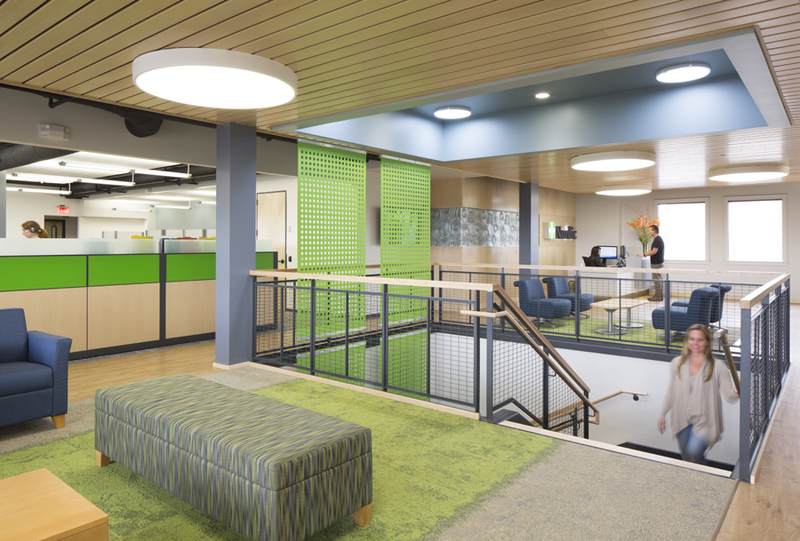 The energetic color palette reflects the spirit and energy of the Nordic team, which includes a bean bag toss built into their central staircase. 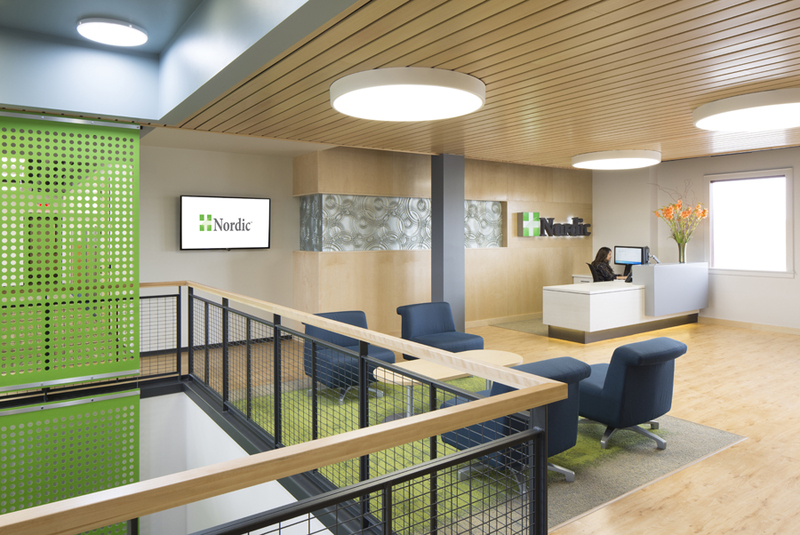 The new space was one of factors that allowed Nordic to be named as one of the Best Places to Work in Healthcare according to Modern Healthcare in 2014.